For the rebel in every girl's heart, this series presents the achievements of extraordinary, relevant, and inspiring women throughout history. Through quotes, narratives, photographs, illustrations, and fact-filled side-bars, each book tells the story of twelve bold and courageous women. When the world told them to stay put, these twelve adventurers took to the skies, slopes, and seas. From the daring aviator Amelia Earhart to the relentless photojournalist Margaret Bourke-White, these brave women will dare you to follow your dreams. 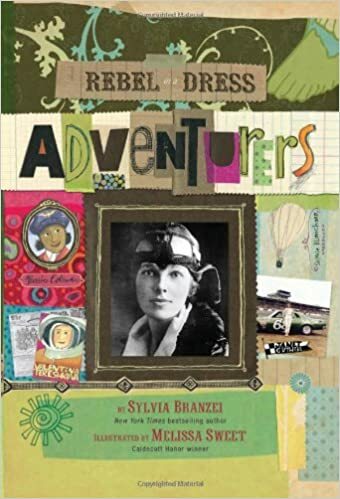 Featured adventurers include Gudridur Thorbjarnarsdottir (Viking traveler), Susan Butcher (dog sled racer), Kit DesLauriers (skier), Valentina Tereshkova (astronaut), Bessie Coleman (pilot), Janet Guthrie (racecar driver), Sophie Blanchard (balloonist), Nellie Bly (journalist), Gertrude Ederle (English Channel swimmer), and Dr. Diana Hoff (Atlantic Ocean rower).